Chris Lovell has been hired as the new head men’s basketball coach at Bossier Parish Community College. Lovell comes to BPCC from Prestonwood Christian Academy in Plano, Texas. At Prestonwood, Lovell led a nationally recognized and ranked men’s basketball program, which just won its fifth straight TAPPS 5A State Championship in 2016. The Prestonwood Christian program was recently named one of the top 36 high school programs in the country since 2010-2011 by MaxPreps. 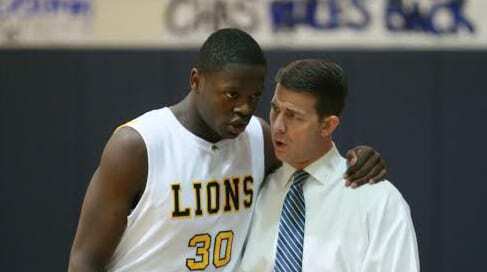 While at Prestonwood, Lovell has coached some of the best players in the nation, including Julius Randle of the Los Angeles Lakers. 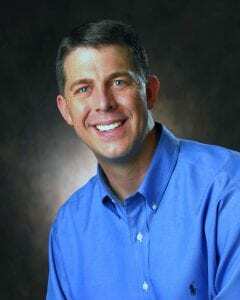 Previous to coaching, Lovell served as the head student pastor for Prestonwood Baptist Church in Plano and Germantown Baptist Church in Memphis, Tenn. Lovell also has deep local roots playing high school basketball at the former Trinity Heights Christian Academy and then college basketball at LSU Shreveport from 1990-94. Lovell graduated from LSUS with a bachelor’s degree before attaining a master’s degree in Christian Education from New Orleans Baptist Theological Seminary. He and his wife, Amanda, have three children — Paxton, Bowman, and Kerrington. “I’m honored and thankful to have the opportunity to be the next head men’s basketball coach at Bossier Parish Community College,” Lovell said. “BPCC has always been a staple in the Bossier area and the potential for its men’s basketball program is very exciting to me. I’m looking forward to creating and leading a culture of winning while recruiting the best players possible. Rennie is ready to have Lovell on board to steer the men’s basketball program at BPCC. The BPCC Cavaliers compete in NJCAA Division I.
Lovell replaces veteran coach Joe St. Andre. St. Andre sat out last season because of an health issue. Rocky French was the interim head coach.